The INSIDERS got on location of the Sunshine Nation 2009 television commercial (TVC) pretty early! We (yes there are TWO of us!) got up really early and were on location at 9am. Where were we? That we promised we can’t tell. But as you can see, it’s probably a school. 一來到就看到去年的Sunshine Boyz和Girlz已經打扮得美美帥帥的，這都是形像指導Brian和Barbara的功勞啦！。首先是他們在電視廣告一開始時對著鏡頭酷酷的講「Sunshine Nation Recruitment Begins!」的部份。可能是還很早的關係，他們都吃了不少NG的說 =.= 。不過沒關係，他們都很專業的完成了這部份的拍攝。看YingYing還笑得那麼開心！難道你還不感覺到Sunshine嗎? Once we got there, we ran into last year’s Sunshine Boyz and Girlz and they looked mighty fine (thanks to the help of the SSN stylists Brian and Barbara)! The first thing our ’starz’ gotta do was to look cool and each said a word of the opening lines of the TVC, which was “Sunshine Nation Recruitment Begins!”. Maybe it was still early, it took a while to get the right take. Even though it took longer than expected, everyone was being very professional. Just take a look at YingYing! She looks so happy, can you feeeel the Sunshine?! The next scene they gotta do was the Cheerleading scene with all sorts of tricks. Kidi had to pick up Anna and spin around and it was beautifully done! It took a couple of shots from different angles to get the perfect turn. After this shot, Anna’s got a huge red grip mark on her waist from Kidi! It definitely looks easier on camera! Then the whole crew moved indoor and filmed the street dancing scene in gymnasium. Everyone looked kinda stiff… cuz it’s almost lunch time and probably they got kinda tired from all the excessive jumping and turning and spinning from the previous shot! But eventually everyone got back in mood once we got the party started! Even the dancers took advantage of the hyperness and did some solo moves for the shot! After lunch, the girls had a head start with the dancing scene in the library. Yup you read it, dancing in the library, that’s right! 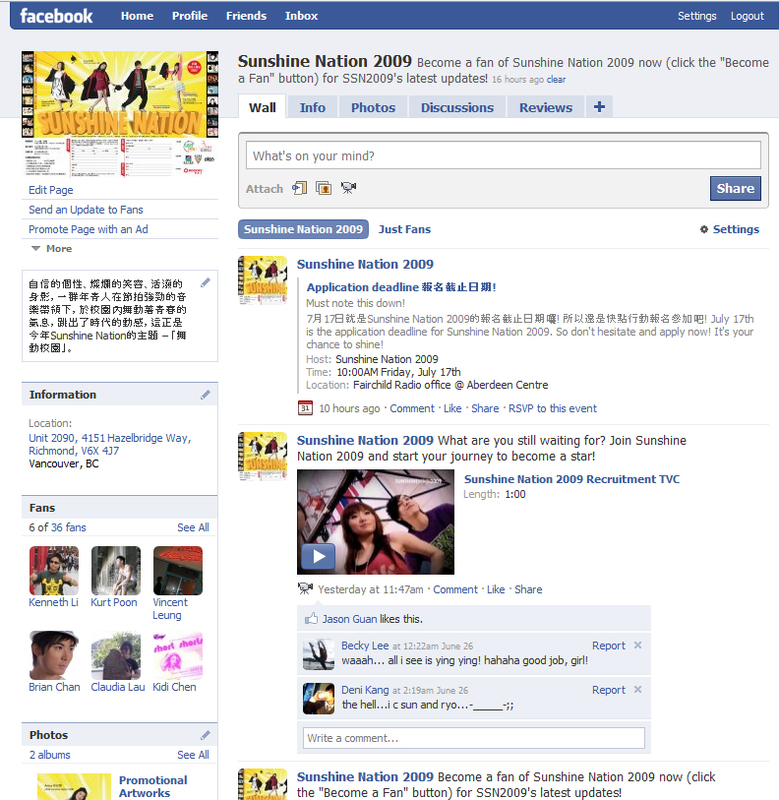 This is how we showcase the theme of Sunshine Nation 2009. We bet you rarely see pretty (pretty and hot) girls dancing in the library! Make sure you check out the TVC to see how we did! But before the camera started rolling, Anna, Mayanne, and all the dancers were very attentative to our choreographer YingYing’s demonstration. It takes a little more to get that perfect shot! And here we are onto the last scene! Kidi, Mayanne, Anna, and YingYing put on some very stylish school uniform that showed off their personal style. Can you feel their fierceness when they strutted down the corridor? Oh they were fierceeeee!!! Our Fairchild Radio crew spent so much time in producing the Sunshine Nation 2009 TVC, hoping to encourage more of you to join us! If you like what you saw and would like to be a part of Sunshine Nation 2009, and be one step closer to the world of entertainment in Asia, now it’s your chance! Sign up for Sunshine Nation 2009! We will also be making a commercial with the chosen ones of this year’s Sunshine Nation! Oh there are more snaps on the making of the TVC posted in the Gallery section! Make sure you go check them out! Peace. Winter Warm Wave 2008 television commercial starring Sunshine Nation 2008 Champion Kidi and Charisma Award winner Mayanne Mak. 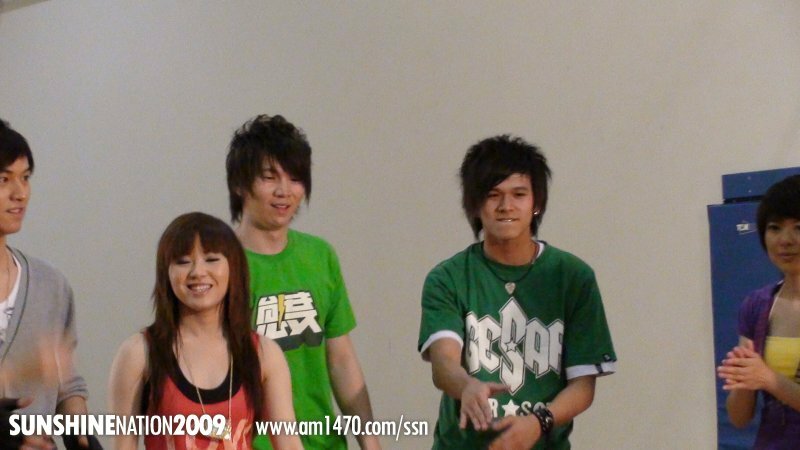 Music video of SQ13’s champion song “Overwhelmed”, starring Sunshine Nation 2008 Champion Kidi and Talent Award winner YingYing. “Surprised Goodies” for joining SSN’s Facebook Page? As you may have noticed, Sunshine Nation has created an official Facebook page this year. There are latest updates, interesting photos and videos inside. What’s more, you can interact with other fans. So start your discussion topics there and let the fun begins! Post your pretty/handsome… or pretty handsome pictures too — who knows — maybe you’ll find your nominator there! I’ve also heard that there will be “surprised goodies” for those who join the Facebook page too. Dunno much details about that yet, will keep you updated once I gather more info. See you there. So you’re wondering what is this “Insiders’ Report” (note that “s” in “Insiders”) thingy all about… Well I’m not allowed to reveal my (/our) identity(ies) yet… But if you’re looking for the latest news / secrets / insider’s gossips of Sunshine Nation 2009, you’ve reached the right page! Check out this page often for more info… I will update as much as I can. Recruitment TV commercial starring Sunshine Nation 2008 Champions Kidi, Anna, “People’s Choice Award” winner YingYing and “Charisma Award” winner Mayanne. Do you know someone between the ages of 16-25 who’s prepped and ready to become the next Asian superstar? If so, you could both be eligible for some fabulous prizes from Fairchild Radio’s Sunshine Nation contest! This year the Sunshine Nation class of 2009 will be moving to the rhythm of High School Musical and the finalists will be celebrating their graduation with music, song and dance on stage at the Michael J. Fox Theatre on August 28th. The High School Musical franchise has been extremely popular over the past few years due to the superb acting, singing and dancing talents of its young stars. This year’s Sunshine Nation contest is looking to recruit young people with exceptional style who are capable of the high-energy performances comparable to those seen in High School Musical! For the last eleven years Fairchild Radio has been seeking out outstanding talent and offering fascinating opportunities to young people in the community. Having started with the Sunshine Girlz competition in 1999, which gave young women the chance to sing, dance and perform their way into the attention of leading talent scouts, it was then decided that their male counterparts should also get a chance, and the contest was transformed into the Sunshine Boyz in 2002, giving young men the same opportunity to pursue their dreams of stardom. Finally in 2006, a whole new vision was formed, uniting Girlz and Boyz together in one Sunshine Nation. Some Sunshine alumni have taken on exciting careers in the entertainment business in Taiwan, Hong Kong and China. 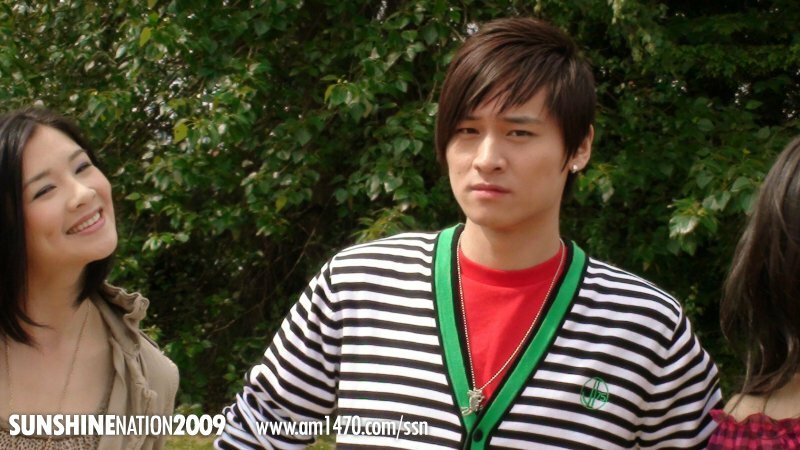 Most notably, the 2004 Sunshine Boyz Champion, Calvin Chen who is now one of the members of the hottest boy group in Taiwan, Fahrenheit. Contestants in this year’s Sunshine Nation contest will be eligible to win cash scholarships, round trip tickets to Asia, 6-day guided tours to Japan, deluxe tour packages to the Rockies, and have the opportunity to launch an acting career in Asia and star in a music video. The Boyz and Girlz Champions of Sunshine Nation will also be featured on the cover of the nationally distributed Popular Lifestyle and Entertainment Magazine and receive Samsung Propel cell phones, fashion certificates and other valuable prizes. In addition, Fairchild Radio not only wants to award the winners of the contest, but also wishes to show its appreciation to those individuals who recognize genuine talent by offering a $200 cash prize to the nominator of the Sunshine Boyz Champion and $200 to the nominator of the Sunshine Girlz Champion. The contest is organized by Fairchild Radio, in cooperation with Comic Productions/Meteor Garden Production, which produces popular dramas in Asia. The deadline for applications is July 17th, 2009, so download an application online or pick up an entry form in person at Aberdeen Centre at 2090-4151 Hazelbridge Way in Richmond as soon as possible. For more information contact Fairchild Radio at 604-295-1234 or browse around here on our official website! You are currently browsing the Sunshine Nation 2009 Official Website 官方網站 blog archives for June, 2009.